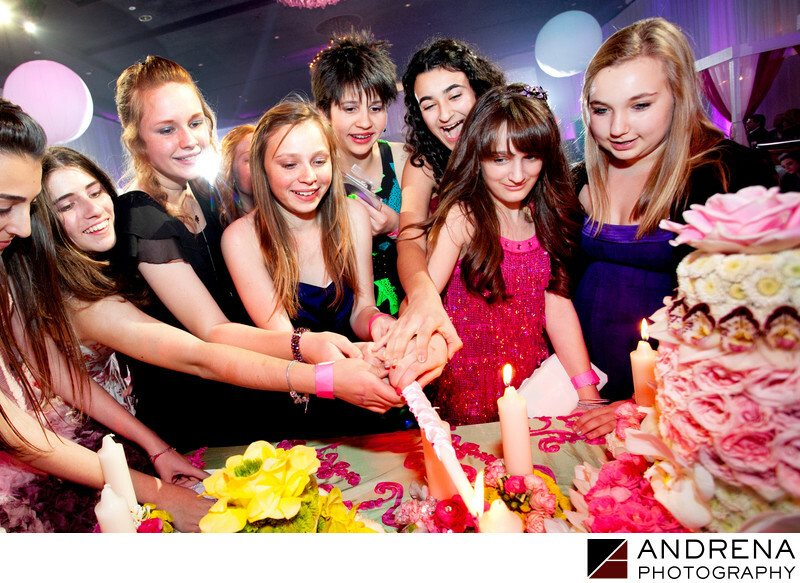 As Los Angeles event photographers, we know how important it is for a Bat Mitzvah girl to see the faces of all her best friends celebrating her special day. That's why we love a candle lighting ceremony, when those closest to her are honored for all their guidance and support over the years. This photo really conveys the camaraderie between the girls, and each of their personalities really shines through. It also depicts beautiful details chosen by the family, like the pink candles that matches the festive floral cake. This will no doubt be a happy memory our guest of honor will look back upon fondly in the years to come.